Have you ever seen the etheric cord that connects you to every thing on this planet? You may get a glimpse of it every now and again, especially in your most meaningful relationships. When we connect with another person, especially romantically we activate an energetic cord with them. As we continue through the relationship every interaction, thought, emotion and feeling is added to the cord. This cord has the ability to share energy and transmit a high frequency of communication, which may explain why we often feel and connect telepathically to our partners thoughts and emotions. 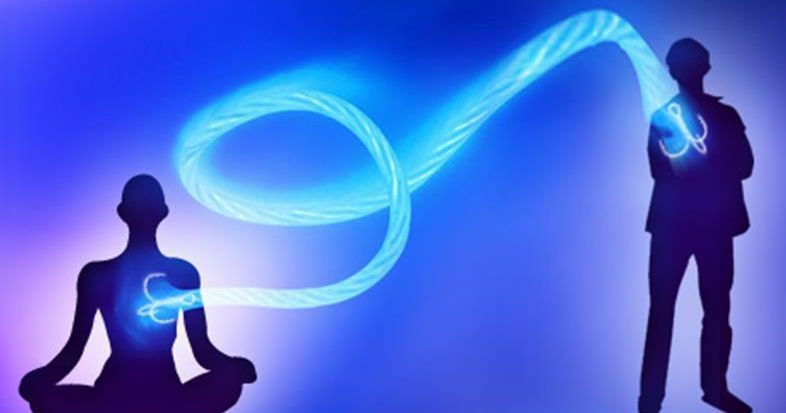 When the cord is healthy, it can create a vibrant, energetic source exchangebut when the cord is unhealthy, it can often lead to feeling controlled or drained in energy. but if you are unsure, a good measure is how strongly or how often you think or feel towards someone, especially if the thoughts are obsessive, manipulative or fearful. 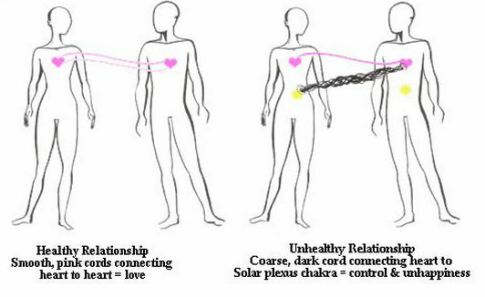 Our etheric cords are generated from our chakras or energy centers. When these connections are imbalanced that is when issues can occur. Cutting the cord can help you recharge your energy, feel a sense of peace, can help you let go and can bring about new, positive opportunities. You may need to repeat the mantra 2-3 times. You can also close your eyes and visualize the cords being released, as well as the healing light surrounding you. After the ritual is over, smudge your surroundings, take a warm bath, drink plenty of water and relax in a peaceful or comfortable setting. You will know if the ritual worked as you should feel lighter, more energized and more balanced.